In Armaan Khan's review on TruePCGaming he felt had barely scratched the surface in terms of content during the 12 hours he spent in the game. As he puts it: "a time in which I could have played out most other modern games at least twice." The Controller Online thought the concept was bold and interesting, though didn't believe the game was for everyone. I'll be joining a couple of the guys from GGTL for a livestream of Valley this weekend. The show will start at Noon ET today (Saturday, April 28th) and run for around an hour. We'll be talking about the game as they play, I'll be taking questions, and there's going to be a giveaway as well. Stop in if you're hanging around! AVWW Post-Release 1.002-1.006 "Upgraded Elitism" Released! This one is the second of our post-release beta updates, and it focuses once again on what they newly-expanded player community has been telling us. First of all, the elites were me with a mixture of joy and dismay with the last release. On the one hand, they were greeted with great interest because lets face it: new enemies are cool. However, the thing that didn't sit right with a lot of folks was how the elites permanently replaced some of the weaker enemies. Also, the fact that killing 80 bats led to them all turning into sonic bats (as one example) felt really punitive to players even though it wasn't meant to. After a lot of discussion and thinking on this, we came up with a middle-ground. The new approach is detailed in full on the release notes, but basically takes away that whole "kill X number of enemy to have it upgrade into an elite" and instead has it so that as your Civilization Progress (CP) goes up on a continent, new elites unlock at random. Also, the elites don't fully replace each enemy that they are an elite of, they just become increasingly common in place of them. This makes it so that each continent grows and changes in ways that are randomized as you go, and thus each player's world is a lot more unique. On your world you might not even see sonic bats for your first few continents, but I'm seeing a lot of them. Instead I'm seeing eagle divers or various other enemy elites. This takes some things we've learned from AI War about making really unique and personal places for people to explore, and adapts it to this game. So: upgrade stones have been around for a long while, and our beta players really liked them. But one of the first things we've been hearing since the official release was that the upgrade costs were too expensive. It was simply getting to the point of having to grind in order to keep characters appropriately upgraded. This has been a subject of very intense math-riddled discussion all this week, and after all that we finally found the answer. The costs are now lower and fixed, but the returns you get from those costs are diminishing. The overall effect is that you don't have to grind anymore, but you're not constantly overpowered either. All the details are in those release notes. These have been something that we knew was a problem, particularly in multiplayer, for the last few months. They weren't broken by any stretch, but they also weren't ideal. We wanted to do something about it, but we also didn't have any particularly better ideas. But now we've had them! The enchants progress in multiplayer is now a lot more sane-feeling and less likely to overwhelm new players. And hoarding of low-power enchants is now strongly disincentivized by finally building in an "incinerate this enchant for enchant points" mechanic. That's been discussed for months, but rather than putting as a new object you have to travel to your settlement to use, we built it right into your enchants inventory itself. So, new batch of players, new exploits get found. It takes all sorts of players to really nail all the exploits in any game. Some enterprising folks found that they could snipe bosses from offscreen by using certain tactics and possibly speed-enhancing enchants. Fighting enemies at that incredible range basically circumvented all challenge or interest in the combat. Yikes! So what we've now done is made it so that spells are inherently limited in how far they can travel. This also prevents players from very large screen resolutions from exerting too much of an advantage over players with a smaller screen resolution. For many players this should hopefully be hardly noticeable of a change, but it does mean that you have to get a bit closer to enemies and actually risk their attacks in order to attack them in return. UPDATE: There was a regression in 1.002 that caused some worlds to not be readable in that version. 1.003 corrects that. Apologies! UPDATE: There was a regression in 1.003 that caused guardian powers to cause unhandled exceptions in some cases. Sigh. 1.004 corrects that. Apologies again! UPDATE: So folks really didn't like the ranges being that short. Please note that spamming our company inbox with requests for a change like this is not going to do you any favors with convincing us. However, other folks made reasoned arguments that were convincing. Since this bothered so many people, 1.005 has been pushed out early -- despite it being the weekend -- to help fix that for them. UPDATE: Okay, hopefully the last hotfix for the weekend: 1.006 is out now. Hotfixes that come like this aren't the normal way we do things around here, just for anyone keeping score. Sure, we'll do them when they're warranted (as now), but we prefer to prevent them from being warranted in the first place. The reason for this update is to put in a fix that prevents some excessive error logging that could cause lag on some MP servers. Also it tweaks the balance of Forest Rage again to hopefully get that so that it's useful but not as overpowered as it previously was. Some wonderful surprises arrived today on the press front for A Valley Without Wind, highlighted by Kate Cox's feature on Kotaku where she raved about the game so eloquently we had to have one of her best quotes added to our game page on Steam. Rob Manuel gave us a very nice shout out in the 'What You Should Be Playing' portion of his That Indie Game Column. AVWW Post-Release 1.001 "Arrival Of The Elites" Released! 1. We've released the 1.000 version of the game, and that's stable and great. 2. Now we've started releasing beta versions after that, which may have more bugs but which have all sorts of new and awesome features. If you run into any bugs, sorry about that, but just let us know and we'll fix them. Note that the beta versions don't come through the Steam client or similar, they only come through our internal updater and they're totally optional. 3. These beta versions tend to come out every weekday or two during the busy periods (like now), and so some bugs are inevitable with that breakneck of a pace. But also those bugs get fixed darn fast if they are serious. 4. After a few weeks or a month or two, we'll take all those beta updates and we stop adding new features for a bit. Time for another round of polish and bugfixes to make an official version. It might be something like 1.100 or similar. 5. Version 1.100 is then released as the next official build, and gets pushed out through the Steam client, the Impulse client, and as a new installer on GamersGate and our site and everywhere else, etc. Version 1.000 is officially and completely retired, and 1.100 becomes the new "official" version of the game. 6. Now go back to steps 2-5 once again, and we do more beta updates for a few weeks or months and then do another official. And repeat and repeat and repeat. With AI War, we've been at this for the last three years and are currently north of version 5.000. So now you know what the deal is with the post-release betas, if you're new to Arcen. If you're familiar with open source projects, our betas are basically like the nightly builds in most of those sorts of projects. We've been listening to what players and the press have been saying! The number one thing that players and press both wanted more of was enemies, so that's what we've been focusing on. There are two new types of espers that appear right from the start of the game, which add a lot of variety to a lot of areas (espers are pretty common). Both the Explosion Esper and the Ice Esper are floating magical beings like the rest of the espers, but at the same time they have very different sort of attack patterns. There will be other brand-new enemy types also coming up in future releases in the next week or two, but these two make a nice start. Next up there are twelve new kinds of enemy elites -- and in fact, these are the first enemy elites to be a part of the game at all. What the heck is an elite? An elite is an upgrade of an existing monster class where the new class replaces the old. It's basically a behavior and/or stats upgrade for an existing monster class that gets unlocked after you kill a lot of that type of monster. Note that there were already offshoot-type monsters that get unlocked as you demonstrate proficiency with enemy classes, but elites are different. When you kill 100 bats, you unlock fire bats in addition to your regular bats. However, it's very possible to be running into both regular and fire bats, and they look very different visually and act super differently. Once you kill 80 bats, however, those now upgrade into their new elite form: sonic bat. The sonic bats look and act just like regular bats, except that they have a ranged sonic attack. It's possible to have sonic bats and fire bats at the same time, but sonic bats replace regular bats. Once you kill 160 bats (including sonic bats; elites count as their base type for unlockables), then you'll unlock sonic screamers. These are a further-upgraded elite of the bats in which not only is there a ranged sonic attack, but the melee attack of the bats inflict a status penalty to you that causes your cooldowns on spells to be slower. Unlocking whole new classes of enemies with new visual effects is really cool: you have the skelebot centurions and the ice and fire bats, and so on. But when the original enemies are also retained, those original enemies wind up being kind of blah next to their fancier-class counterparts before too long. Our plan is thus to make it so that there's a constant arms race between new enemy classes and new features for existing enemy classes after a certain number of kills; that way everything stays fresh around you. This is also an example of yet another way that we're working to make the world adapt to how you play even more. The "Fix the Anachronism" missions were a weak spot in terms of game clarity/fun, it was pointed out to us. Therefore we've tweaked not only their documentation, but also their mechanics. This way they aren't instant-fail in any situation (see release notes for details), and that should make them a lot more enjoyable even for newer players. Previously these particular missions were pretty much veteran-friendly only, which we should have caught pre-1.0 but didn't. Ah well! We're finally in the homestretch of the 48-hour launch day for A Valley Without Wind. The game is now out on Steam and IndieCity, and we have a slew of new coverage landing since our last update. Dan Crabtree gives the game a 'Try It' rating in his review 'A Valley Without Wind remembers a new past' on ars technica. Tom Chick has started an ongoing diary/review of the game over on Quarter to Three (that we're already enthralled with!). And fellow indie developer Cliff Harris (Gratuitous Tank Battles) let us cross-post our 'AVWW: What The Heck Is It?" article on his devblog. Thanks Cliff! We'll post more as it crops up! The PC/Mac title brings over 100 achievements along with 2-8+ player co-op multiplayer with cross-platform play. Also on offer is a "buy three get one free" pack to help groups of friends jump into multiplayer at a discount. After 15 months of active development, which included a six month open beta with showings at MineCon and PAX East, the game has evolved in ways we couldn't have imagined at the start. We don't plan on stopping here either. Those who know of our post-release support standards for AI War will be happy to hear that we have the exact same plan in mind for A Valley Without Wind. The launch trailer is available to view now, with demos for both PC and Mac versions available through the game's website and on Steam. 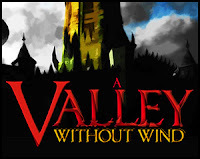 As you may have heard today's A Valley Without Wind's launch went well in several ways, but the day wrapped with us having to move the game's release on a couple distributors (Steam and Gamestop) back until tomorrow. Everything is progressing well, we just ran out of time tonight. GameZombie.tv gave the game a 4/5, informing us the title brought 'some of the coolest gameplay in a 2012 game.' Nice! RTSGuru's Christina Gonzalez found a lot for strategy gamers to like about AVWW and seemed pleased to discover us and our booth at PAX East, as she explains in her piece An Adventure With Strategy Game Roots. VGMMDI gave the title a 'solid' 7/10, delighting in the replayability factor. Today has been... one of those days. Not particularly for us directly, but apparently there were a lot of games coming out today and in general just lots of craziness going on in the world of gaming. Distributors moving office locations, distributors out of the country they're based in, distributors drowning under the weight of a dozen indie releases on one day, and so forth. So, yeah. It's been one of those days. The good news is that GamersGate got the 1.0 build up super early today, both in regular buy-one-copy format as well as in four for the price of three format. They're running a 10% off sale on the game for the next week, too, in celebration of launch. So that's all settled! Turns out, we're doing the same thing -- our store has options to buy singly or to get the four-for-three option, and we're also running the 10% off sale for the next week. We got our stuff going later in the day, after much wrangling with the four-for-three thing in particular. Like I said, one of those days. Next up came MacGameStore.com with the game launching, and also doing a 10% off sale for the next week. And... that's it for today. Gamestop is still carrying the beta version at the moment, but their pricing has updated and if you buy the beta you can use the in-game updater to get to the launch version. They're very close to having the 1.0 version fully released, but didn't quite make it in under the buzzer today. Same deal with Steam. That's another one where the build and store page and so forth are just almost done, but didn't quite make it in under the buzzer. But tomorrow's another day, and like I said it's so close I thought it was going to be tonight. But now it's late and I'm heading for some sleep, so if it's tonight then I'm going to be missing it until the morning. Sorry about this -- I know that a lot of folks were waiting on the distributors that didn't quite make it in under the buzzer today, but it's just one of those things. Hopefully things will speed along much quicker tomorrow. Knock on wood! On the eve of A Valley Without Wind's release we have several bits of press coverage to share including the first two reviews for the game. SmoothTown gave the game a 4/5, complimenting the game's deep and addicting gameplay as well as how the world reacts to your actions. The outlet also conducted an interview with Chris after the review was released. Finally, Fun or Frustration wrote up an extensive impressions piece, taking a deep look at various aspects of the title. Keep an eye out tomorrow and all this week as we have several interviews and other coverage in the pipeline. AVWW Beta 0.971 "Release Candidate 2" Released! Specifically, this version fixes a crash bug that cropped up in the last 3-4 versions based on a bug in unity. The release notes have all the technical details, including how other unity devs can work around the problem. The crash bug was a fairly tame one as far as crash bugs go, because you had to alt-tab out of your fullscreen game for 10+ minutes for it to then crash. But still that's not the sort of thing you want going into an official build by any stretch. Presuming nothing bad comes up in the meantime, the next batch of stuff is planned hit on late Monday. Enjoy! AVWW Beta 0.970 "Release Candidate 1" Released! AVWW Beta 0.934 "Dastardly Lasers" Released! This one is the second of what hopefully will only be three releases today. It contains a number of fixes, including a key fix to the "lasers" that were causing unhandled exceptions when you were in stealth mode. There's also a few other minor balance and sound effect things in there, too. AVWW Beta 0.933 "The Classic Choice: Orb Or Slice" Released! This one is probably the second-to-last release prior to 1.0. There will be another release later tonight, and hopefully that will be the last one unless some critical bugs are found overnight. The current release has a variety of fixes and tweaks that players had asked us for, as well as a fairly good-sized list of things that we kept meaning to get to but never had time for until now. Lots of sound effect additions again, and both the mechanics of The Deep and of stealth sections have been dramatically improved. Also energy pulse has been split into two spells: energy orb and energy slice. See the release notes for details as well as the full list of all the other changed stuff! Just Press Start's Jeff Ortloff got the full tour of the Arcen Booth, posting audio interviews with both Chris and Pablo. Gameinpublic posted the first ten minutes of the indie game talk I took part in. This was day two (we did a similar talk with different devs each day of the conference). Andrew Whipple III of Gamer's guide to Life seems very pleased we're fleshing out a title in the sidescrolling action genre. Patrick Lindsey put together a solid preview of the game over on BeefJack as well. The Mash Those Buttons guys talk about the game for a decent chunk of their PAX East podcast. Luigi Guarnuccio of Gamers Haven called AVWW 'a gem of a game' in his preview. OnLiveFans' Jeremy Burg mentioned us as one of the gems he got to play on the show floor in his round-up of the event. Oh, one last item: 2nd Opinion Podcast's Chris Dunham will be live streaming A Valley Without Wind today at 3:45 PM ET for a good couple of hours. Tune in then to his Twitch.TV channel for a longer form, on-the-fly look at the game. AVWW Beta 0.932 "The ATI Salve" Released! This one has a whole lot of cool stuff in it, and you should totally check out the release notes. I'd tell you more about it, but I-am-so-exhausted. AI War Beta 5.033 "And Other Times There Are A Few Too Many Ponies" Released! This one is mainly more balance based on the "worst unit of all time" polls. Interestingly, with last patch's improvements to the harvesters we actually went a bit too far -- so, yeah, we're totally taking that pony back. ;) More interesting is what is getting buffed this time, which includes the Neinzul Enclave Starships and the Armored Warheads. The armored warheads in particular have been an ongoing bugbear for me since AI War was just having released its 1.0 version. I think that lightning and armored warheads were the first two "free DLC" ships to come out for the game, but I could be mistaken. At that point the armored warheads were something of a safety valve for when a target you needed to kill was impenetrably well defended and you just couldn't get at it any other way. In that circumstance, you could basically just pay a fee in AIP (that was more or less how the armored warhead worked) and then Get That Thing Dead Now. That was useful, but again only as a safety valve and only when you were already doing pretty bad to begin with. It could let you turn a stalemate into a victory (or into a hastened defeat if the AIP increase proved to be too much, as it often did). So it was a pretty interesting mechanic, and I think it worked really well. Of course, then the game changed all around it. I'm reminded of the old man's house in the movie Up, where his house never changed but there are skyscrapers all around it rather than the rest of his neighborhood. How depressing! I think the armored warhead must feel a bit like that. Because, fact is, the need for a Get That Thing Dead Now (in exchange for AIP) unit has pretty much dissipated. The way that AI forces and player forces are balanced, and the way that players can use tactics to take apart pieces of a planet rather than having to engage the entire planet at once, have really altered things. It used to be that if you went to a planet, you had pretty much better have been ready to take on everything at that planet. And that was then, as now, often quite infeasible. Armored warheads are something we've thus updated every so often as the game has evolved, trying to find a new niche for them, but the simple fact is they just don't fit super well anymore. It looks like the current set of changes to them that Keith plus the players came up with are good ones, and certainly bring them back into the realm of usefulness. As he notes in the release notes, though, they are still "rot your teeth" sort of options that you only pull out when it's already going poorly. That's as good a role as any for them at this point, and it's definitely the direction I would have gone myself as well, but it's certainly nothing compared to the glory days that the armored warheads once had. I just thought I'd point out that they weren't always such a strange blend of powerful and useless, since most newer players wouldn't have any context as to why they existed in the first place. These are another interesting sort of case. They were obviously added as part of our second expansion, and in some respects I had imagined them as being the flagships of the neinzul fleets. After all, with the short-ranged neinzul youngling ships you really need a mobile factory of some kind to crank those out right at the battlefield. Problem is, these have always been too expensive in terms of knowledge to be worth it, and then we added the player warp gates and that really further reduced the need for a mobile factory. Back before the player warp gates I had been worried about the unbalancing effects of having a "super factory" that would basically replace the space dock in terms of being the go-to unit. Goodbye beachheads and a whole bunch of other stuff. Well, as fate would have it, the game evolved a ton since then anyhow. The enclave starships got further marginalized, and I agree they've turned into one of the more useless ships. So now it's actually pretty cool to see them as these mobile death-star-like ships they're suddenly turning into. Or at least a star destroyer, I'd have to say. ;) The mark IV one still has to be prohibitively expensive in terms of knowledge or it breaks all kinds of things, but the mark I-III ones are now really enticing, I have to say. I look forward to seeing what other folks do with these, and I have a feeling I'm going to start using these a lot more myself, too. AVWW Beta 0.931 "Sometimes One Pony Isn't Enough" Released! This one is, again, all about the fixes and polish -- in keeping with our agenda for the next week. We'll be back to content updates next week, once we hit 1.0. This one is really all over the place in terms of what it addresses. Battlefield missions have some teeth again. Continents now get harder as you go, up through continent 5, to counterbalance your own growth in power through enchants. Multiplayer has seen a ton of fixes and updates and is looking mighty clean unless you tell us otherwise. NPCs are easier to find in buildings now. The nova/fireball cursor thing is a lot more subtle by default now, but you can also adjust its size depending on your preferences. We took another go at the "My Little Ponies" fix, since the first one didn't do the job. Those one-high sections in basements and attics, which were so commonly trapping people to their frustration, are now a thing of the past. And then lots of other minor miscellaneous polish that plows through a lot of our list of what players were most wanting fixed. Still plenty more to do tomorrow and Thursday before hopefully hitting a final 1.0 build for Friday morning, but we're getting there! AVWW Beta 0.930 "Bugfixes Are Always Better When They Involve Ponies" Released! This one is all about the fixes and polish, in keeping with our agenda for the next week. We'll be back to content updates next week, once we hit 1.0. The biggest news with this one is incredibly-better gamepad support. You can customize your analog noise filtering sensitivity and everything, and map up to 8 different axes if you have some sort of crazy flight control stick that you want to play the game with (hey, we're not here to judge). There's still more to do on the controls front to make the keyboard-only action and gamepad-only action a bit smoother, but we're getting quite close with those. Beyond that there are really a lot of fixes here, especially for multiplayer. More to come tomorrow on those as well, but it's excellent progress towards as spot-free a 1.0 as we can get. Regarding the title of this release, there is a driver issue with some ATI cards where you literally get better vastly performance by playing My Little Ponies videos in the background while playing AVWW. I'm not joking. Hopefully this version will let the affected folks fix that issue without the involvement of cute ponies. AVWW Beta 0.929 "Leafy Black Smoke" Released! The other thing that we're trying to do here right at the last is make sure that each of the six elemental colors has enough spells that you can realistically specialize in them. Up until now that hasn't really been possible, because you've had to really play cross-color in order to get access to all the various styles of spells. The goal now isn't to make all the colors homogeneous -- they each should play differently and have their own style of spells beyond the basics -- but to make it so that each one is more self-contained within itself, if that makes sense. For the purposes of offensive combat spells, anyhow. When it comes to logistical, defensive, and movement spells you'll be crossing colors like crazy no matter how you choose to play (and it won't really matter, because enchant buffs don't apply to non-combat spells in an elemental sense, typically). AVWW Beta 0.928 "Achieving The Leading Causes Of Death " Released! This one was supposed to come out yesterday, but then, well... it grew. A lot. - The randomly generated professions of NPCs on continents beyond the first is now a lot more friendly. - Warp gate function is now clearer based on a second sign seeding in them, and you can also now use warp gates without actually entering them (handy if you're not being chased by monsters and want to save a tiny bit of time). - Wooden platforms work oh-so-much-better now. You can make literal staircases with them that you can just walk up by moving to the side. And you don't fall through them crazily anymore when it looks like you shouldn't and you're walking across multiple of them. And they hang onto background walls that are near sky a lot better now. All in all: holy cow, these are completely different and better. And there were some small camera improvements to the Y axis to support this, and that also makes a subtle improvement in terms of smoothness, too. - Ridiculous numbers of more changes to the intro mission to make things briefer and clearer wherever possible, and to hopefully instill the idea that tactics actually matter when choosing your attack position, etc. We also put in a lot more safeguards to prevent some of the more common shooting-yourself-innocently-in-the-foot cases that people were commonly getting into. - This one is huge: the recharge rate for mana is now about twice as fast, but most characters also get less mana. The full rationale is in the release notes, but basically: a) waiting around for mana recharge isn't fun; and b) having some characters that have access to high-mana spells that other characters can't even wield is really interesting, but only when they can actually cast those higher-mana spells with a good degree of frequency as well. All in all the idea is to make mana a more valid and interesting gameplay choice to focus in, although obviously that will depend partly on the new spells we'll be adding soon to really make that pop. AVWW Beta 0.927 "Brief And Clear" Released! This one is our first release of today, but it won't be the last. The main reason we're pushing this one out is that we have folks working on screenshots and videos, and we want to make sure that two graphical glitches that are finally fixed in this version (after having been present for the last week+) don't infiltrate those. In general, this version really pares down the opt-out messages and makes them a lot more... brief and clear, like the title of the release says. But it also makes the world map interface a lot more unified, where there's only a single way to learn about a region (walking on it), rather than two (walking on it, or right-clicking it). The new combined interface is both a lot more attractive as well as a more functional and clear. We spent much of our time at PAX East chatting it up with press, filling interview appointments and having them take a quick tour of A Valley Without Wind. John Polson interviews Chris in an excellent piece on IndieGames.com entitled Indie Devs Weigh in on Imitating Versus Innovating. Platform Nation's Gaming Hands On Quick Hits touches on AVWW's surprising amount of depth. Nearly 15 minutes of Front Towards Gamer's latest Gametwerp Podcast is taken up by a live interview with Chris. The intriguing Ditto Monster stopped by for an enjoyable and surprising interview with Chris. Anthony of TryIndie was trying his backside off all weekend, providing a ton of coverage for us. He has written up interviews with both Chris and Pablo, plus recorded some video footage of the indie game dev panel I submitted and participated in. Zach Martin of PikiGeek apparently enjoyed his time with AVWW on the first day. He went and published his preview just hours later. Awesome that we caught his attention! We made Trouble Thinking's list of The Stuff You Should Have Checked Out. The Gamer's Guide To Life Channel took a short test drive of the game, as well as recording a live interview with Chris on the show floor. Thrifty Nerd's preview concludes that they can't wait for the April 23rd launch. Lastly, we were also glad to finally meet Nick Puleo of Co-Optimus. We have several other interviews and coverage still in the works with other outlets—so keep your eyes peeled for those in the coming weeks. AVWW Beta 0.926 "Things You Might Like To Know" Released! This one is our first release since getting back from PAX East, and it's a big one. Not only does it have all the stuff that Keith and Josh were working on while the rest of us were at the convention, it also has a first round of improvements based on our observations of players playing the game at the convention. Turns out that if you get five staff watching about three hundred players playing the game cold for the first time, you notice certain things. People, by and large, make the exact same decisions when given the same stimuli; and consequently they also run into exactly the same trouble spots. There are always outliers on any given issue, sure, and people in general obviously aren't carbon copies of one another. But when all five of us were able to identify pretty much the same exact trouble spots after having independently watching different groups of players, the results were pretty clear. That alone was probably worth the cost of going to PAX, I'm coming to realize; the game was already really polished, but this helps us really grind down the last of the sharp edges off the start of the game. PAX East went great for us, by the way -- I'll write more about it later when there is more time, but we met a lot of awesome folks in terms of both press and attendees. It was really cool to meet several AI War fans in person (first time that's ever happened for me, actually), and I was really jazzed to be able to show off this new game to a lot of people who had never even heard of it. From the sounds of things, people in turn went away pretty excited about the game, which was rewarding to see. Anyway, in terms of this particular release, there are a whole bunch of changes in there that I think you'll really like, and which are a direct result of our PAX East experience. For the sake of organization I went ahead and just stuck them under their own category in the release notes, because there were so many of them. So far we've hit roughly half of our list from PAX, but we hit the most critical items first. The hope is that we'll be able to knock out the rest of them tomorrow, along with some other stuff. Keith has been a busy guy while the rest of us were gone, too. His work mostly centered on three areas: multiplayer, achievements, and guardian powers. Multiplayer has jumped forward quite a lot in terms of polish with this version, as Keith finally nailed a mega-bug that was underpinning a wide variety of bug reports. This was a bug that had been eluding both of us for a while, so that was nice to see. At the moment we're not aware of any serious bugs in multiplayer, so we definitely want your feedback: any bugs at all that you're running into, we definitely want to know! Only a little over a week left to go prior to 1.0! There's also a number of new admin commands for multiplayer, targeted for anti-griefing purposes. We strongly suspect we'll see an explosion of such admin commands shortly after 1.0 when more people get their hands on the game and actually start griefing each other; to some extent the exact griefing vectors are hard to predict. But we're definitely trying to hit the obvious ones in advance, at least, just to make things smoother right from the start. Achievements are coming to the game, and will integrate with Steam in the same manner that we did with AI War and Tidalis. These achievements will be more individual-focused and are cross-world, rather than being cross-player and per-world like the unlockables are. So it's a completely different set of achievements compared to unlockables. The set of achievements that we're going to start with is only something like 20ish achievements for 1.0, but we'll likely grow that in post-release content. It just doesn't seem like the most pressing need to be doing a ton of those prior to 1.0 at the moment, although we certainly want to have a healthy number of then. This is something Keith has been planning for a while, and they're really cool. They finally bring a purpose to the skill level 4 and 5 of NPC professions, and they also bring a lot more variety to guardian powers in general. All in all 51 new guardian powers were added, although 20 of them are currently disabled pending proper unlockables that are pending some new enemies that will be added in the next week for continents 2 and 3. The cool thing about these continent-wide buffs is that they provide a completely new way to focus on the community and thus help the self by extension. These can provide a much-needed vector for overcoming a challenging mission or an overlord or whatever, and they really should expand the decision space for the game. A Valley Without Wind at PAX East 2012! We're all so excited to be at the PAX East Expo 2012! If you're at the expo, be sure to stop by our booth (#364)! Check out our Facebook page or twitter account for pictures! AVWW Beta 0.925 "Dispelling The Lieutenant Pact " Released! This one is our second release of today, and it's just another bunch of bugfixes and polish. Basically, the last bit of tidying up prior to PAX East. Unless there are some major issues found with this one, this will probably be our last public update to the game until next Wednesday the 11th. It seems like a very solid build, but if you find any issues then please let us know. Keith and Josh are still going to be working away on stuff while Erik and Pablo and I are at PAX East, but we don't plan on actually releasing that until the conference is over just to make sure we keep a stable build during that period. After the conference we'll resume yet more polishing and bugfixing as we close in on 1.0, and we'll go through that last sprint of content with more enemies and spells in particular. AVWW Beta 0.924 "Gaping Caverns" Released! This one focuses on more polish and bugfixes relating to the new player experience as we move toward PAX East. In particular a lot of things relating to caverns and underground seeding, hence the name above. We're only showing solo directly at PAX, so that's where the bulk of our focus has been on the fixes. If you're aware of any other single-player affecting bugs that are in particular need of attention, please do feel free to let us know (as in, today, because I depart tomorrow). We have a list of other last-minute fixes of our own that we still need to get to, including that bug with the lieutenants hiding from you in their own keeps, but in general there's not a lot that's really terrible at this point. Just a couple of weeks ago, we announced that we'd be launch on April 16th on Steam, and that we were lowering the price of the game. All of that is still true, except that we've shifted the release date back a week to the 23rd instead of the 16th. Why the shift? 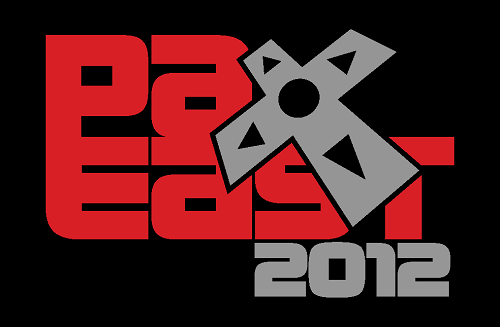 Well, to be perfectly frank: PAX East. We're super excited about finally having a booth at one of the PAXes (I've been a Penny Arcade reader since a few months after they started, actually), but the simple fact of the matter is that this is on a whole other scale than Minecon. Our focus over the last few months has been on getting the game into the state it needs to be for both 1.0 and PAX East, and in getting everything all lined up with the press. That meant that Erik and I both found ourselves a bit flat-footed this past weekend in particular, and we've had to majorly scramble to get all the PAX stuff set up. That's finally all resolved, but now PAX itself is about to actually start in a couple of days, and that's going to make 3/5 of our fulltime staff completely unavailable for the better part of a week. There's still enough polish and last-minute content additions that we want to cram into AVWW 1.0 that an April 16th release just didn't make sense anymore. That rash of memory leaks last week didn't help, although that wasn't the real cause by any stretch. Anyway, we're still launching in April and we couldn't be more excited about the way the game is shaping up! If you're coming to PAX East, make sure and stop by to say "hi!" Windows XP SP2 or later; Mac OSX Intel CPU and "Leopard" 10.5 or later. Linux is not officially supported by Unity 3D, the engine AVWW runs on. However, we have heard it works under WINE. Graphics card must support 1024x1024 textures (most 32MB and up graphics cards do). Previously we supported any version of Windows XP, but now you have to have XP SP2. Also, we previously supported PowerPC and Mac OS X "Panther" 10.3.9. Unfortunately, due to the Unity 3D engine removing support for those platforms, that means that we're unable to continue supporting those platforms if we ever want to update to a later version of the game. We apologize if the PowerPC/Panther changes in particular causes any hardship for anyone. But we suspect that the game would have run so poorly on that old of a computer anyhow that you wouldn't have liked the experience you got. If anyone purchased the beta of game on the expectation of being able to play it solely on PowerPC and is now unable to do so, then please contact us and we'll be happy to offer a refund. But we also highly recommend the newer Intel-based Macs; they're awesome, and speaking for myself personally I was able to get a used one two years ago for $600 off of eBay. Last note: you can technically still play AVWW on the older operating systems at the moment, because we are still running Unity 3.3. That is likely to still be the case at launch of 1.0, because we had lots of trouble with bugs in Unity 3.4 and we don't want to risk moving to Unity 3.5 right before a big release. But at some point after AVWW 1.0 comes out, we will be upgrading the game engine to a newer version of Unity, and then the game literally won't run on the older OSes. The other thing that we've learned through the beta testing is that 1 GB of RAM really isn't going to give a good experience for anyone. Anyone already playing the game knows this, so I doubt this is going to impact anyone negatively. But we've increased our minimum requirements from 1 GB with a 2GB recommendation, to a flat 2GB minimum. And of course more is always better if you're on an OS that uses a lot of RAM (Vista / Win7) or if you've got a lot of background tasks sucking up RAM. But even in those situations, so long as you haven't tweaked your windows settings to not have a swap/paging file, 2GB of RAM is plenty. We've had a few beta players with only 2GB of RAM and a disabled swap/paging file that ran into occasional crashes due to lack of available memory, but simply re-enabling the swap/paging file (which is on by default in windows) solves the issue. AVWW Beta 0.923 "Your Mission Description, If You Choose To Accept It" Released! This one was certainly slower than we had anticipated on releasing, but PAX East preparations have been really kicking us in the teeth the last few days. A lot of stuff had to get off to printers and so forth in time to actually make it to the show, and we left some of that until way too late. Along with other hilarious things like forgetting to order any electricity for our booth, etc. Now we've got the PAX East prep seemingly in hand now, and now we're back to trying to make as clean a build as we can for demoing at the show. That's our focus for the rest of today, and in a smaller way tomorrow, and then there's going to be the better part of a week break where we work internally on some new stuff but don't really release it much until after all of us are back in the virtual office fully. Things have gotten a lot crazier with this conference than we had expected. I think it will be an enormously good thing for us and the game, but it's just been a time sink even before it's started. With that, we're thinking about actually pushing our release date back a week, because we're losing a week of work on what would be 1.0. But no official word on that yet, that's just what we're mulling and discussing with partners. So, About This New Version Itself? Oh right! So you want to actually know about what's new here? Well, a slew of bugfixes and some balance tweaks. The draconites are a lot more unique as a player class now, among other changes. The way that mission failure and abandonment works now is a lot better and matches up more with what players were expecting. Also, the mission signs that you walk by and see the information about the mission now show you the description text without your having to hover over the mission name. That was leading many people to previously think there were no mission descriptions, when in fact there were all along. Having to go into missions with no explanation is not fun!